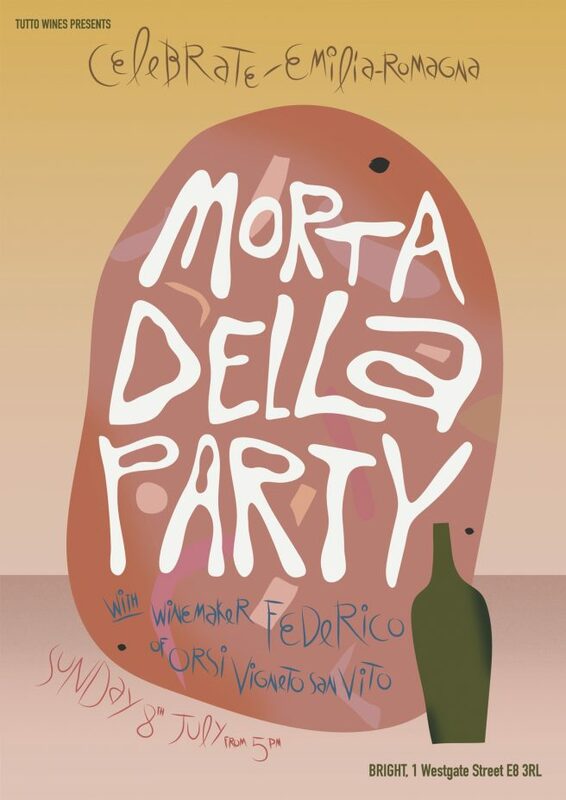 On Sunday 8th of July we will welcome Federico of Orsi Vigneto San Vito back to London for another Mortadella Party at Bright in London Fields. Federico’s Mortadella is a thing of legend. It is made from local Mora Romagnola pigs who roam free and feed on wheat, barley, fava and wild herbs on his farm in the Colli Bolognese in Emilia-Romagna. Federico breaks down the whole beast and adds a little salt, pepper, herbs and a good glug of his wine. In short, it is the best we have ever had. As always we will be slicing it thin, stuffing it in panini and pouring glasses of Federico’s wine from bottles big and small from 5pm until late. There is no need to book, so please drop by whenever suits for a few glasses and a sandwich or two. However, do remember this is always one of our busiest events of the year and when the ‘della is gone, the ‘della is gone, so pop by early to avoid disappointment.